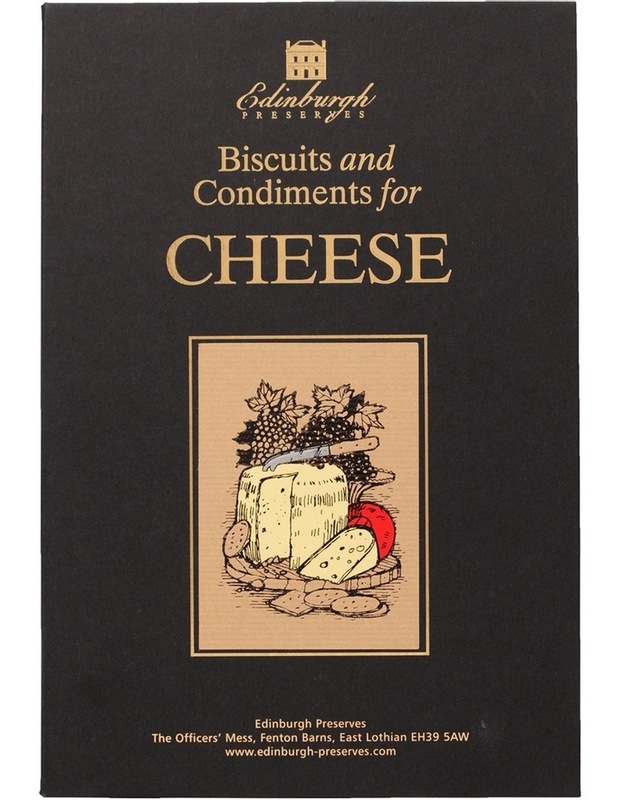 Edinburgh Biscuits Condiments for Cheese Box 977g. 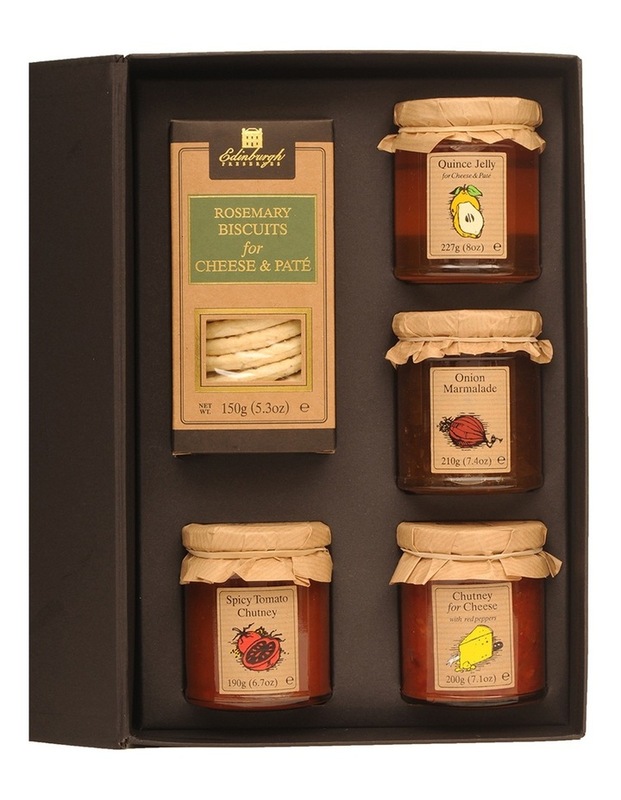 Established in 1995, Edinburgh Preserves was set up by Sandy Herd with a family recipe for Tomato Chutney and a philosophy for making country kitchen style preserves using only the best ingredients. Due to their sharp rise in popularity, Edinburgh Preserves have since developed many new recipes to add to their range, now boasting a substantial award winning list of Preserves, Chutneys, Pickles, Mustards, Sauces, Jams and Marmalades. 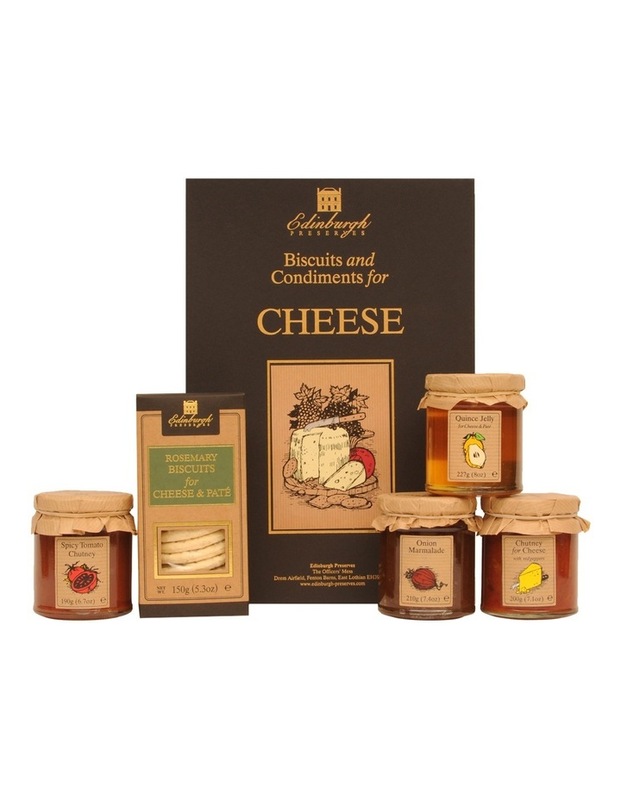 The Edinburgh Preserves ethos is to make these products using only the best ingredients and cooking in small batches to maintain the taste of the ingredients and quality of the product. This Christmas, Edinburgh Preserves and Myer continue their exclusive partnership, offering a beautiful range of gift sets filled with delicious, traditional condiments and preserves. For product ingredients and nutritional information, please refer to product images.